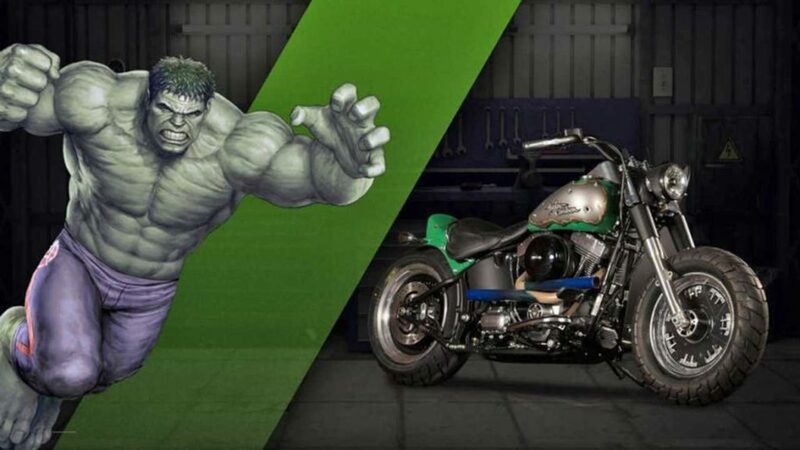 Harley-Davidson Superhero Bikes and the Passing of the Great One. 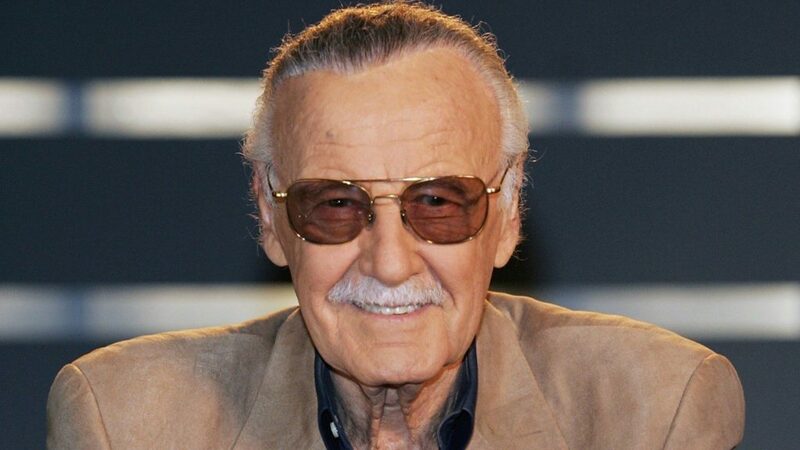 The grandmaster of comic books geekery, superheroes aficionados, and Marvel cameos enthusiasts has left this world: at 95 years old, everybody’s favorite guy in shades Stan Lee has kicked the tesseract and found his place among the stars. The father of Marvel, The great one will be sorely missed, but he left us with a rich legacy of inspiring superheroes to remember him by. AMERiders also loves superhero bikes so we are going to look at those today too. 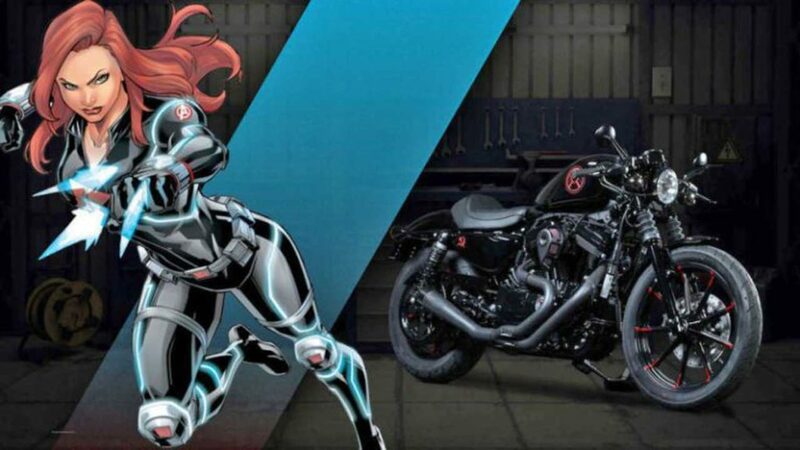 Harley-Davidson, another American icon, has been closely associated with the Marvel universe since the movie franchise’s early days. 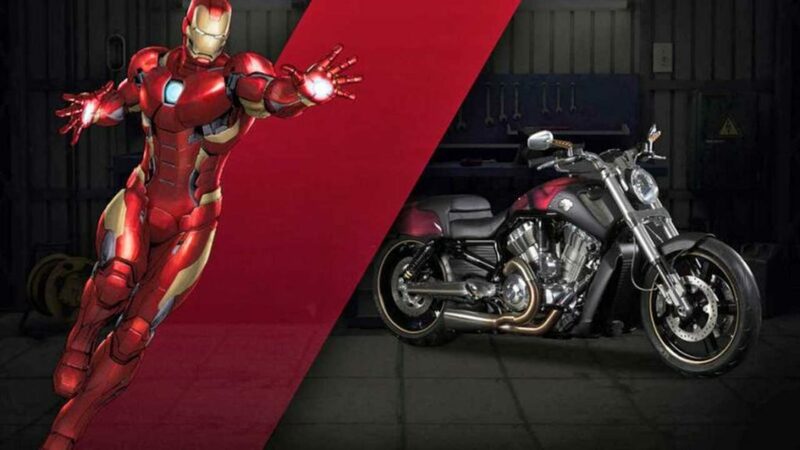 We got to see some of our favorite superheroes ride on Harleys, including Captain America’s 1942 WWII military rig in Captain America: The First Avenger and Black Widow’s race against the clock on a LiveWire in Avengers: Age of Ultron. 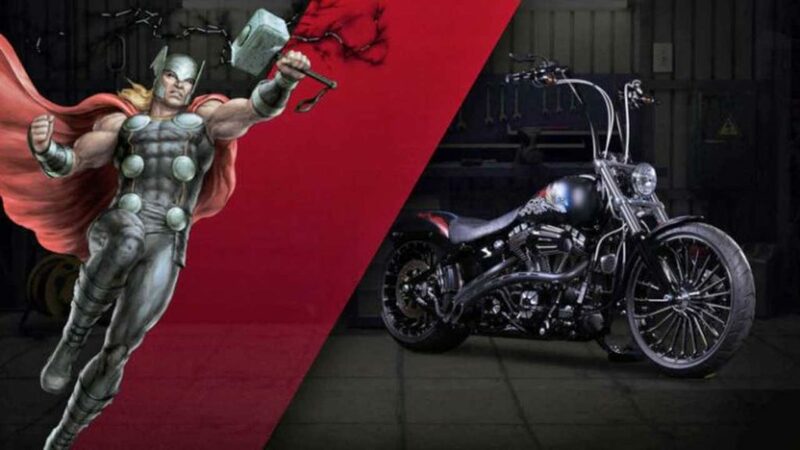 Two years ago, Harley solidified its association with the Marvel universe by coming out with a collection of 25 customized Marvel hero bikes. 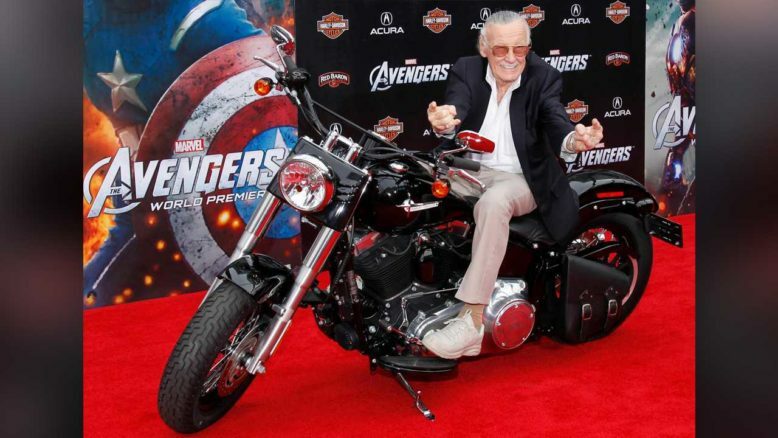 Because themed bikes are always cool to check out (when they’re well done) and to honor Stan Lee’s memory, we thought we’d have a look back at when Harley built superhero bikes. 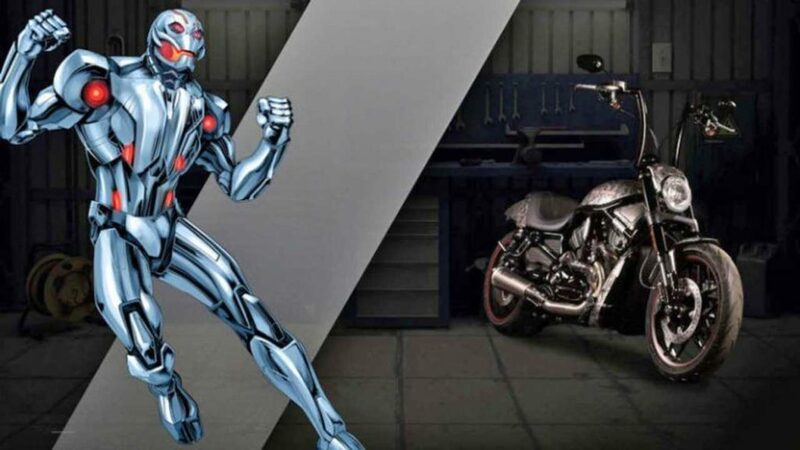 Here are 10 favorite great superhero bikes. 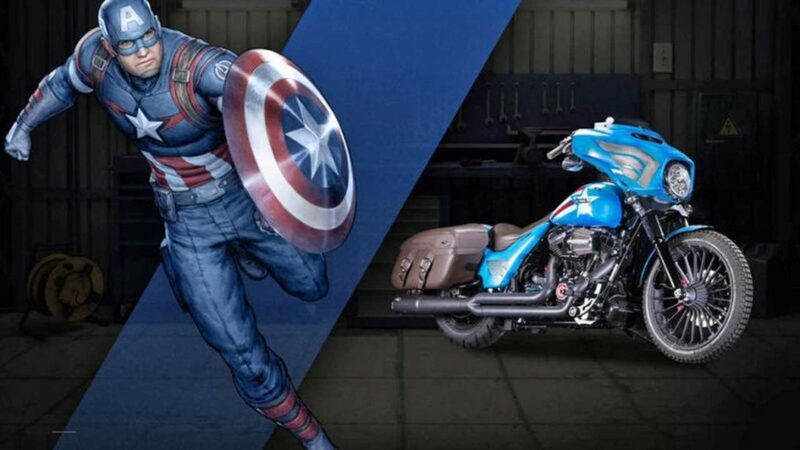 We like Steve Rogers’ 1942 H-D better, but the Freedom Street Glide isn’t too bad a ride for the most American superhero of them all. Bad guys would definitely get a fair warning watching the bright blue bike ride their way! 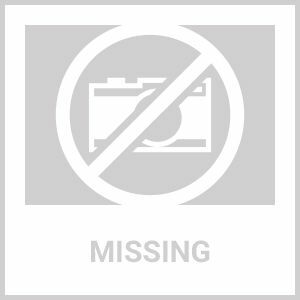 The nation-pride red, white, and blue paint scheme is nicely contrasted by the blacked out engine block and brown leather saddle and saddlebags. 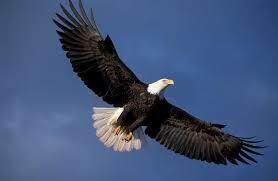 Here’s something the Captain can proudly ride to battle on. This bike has (had) as big a personality as Tony Stark does (did?). The terms loud and proud apply to both character and motorcycle, so this was an appropriate pairing. Harley has been a little tamer with the special paint job emulating the bold philanthropist. The blacked out components are highlighted by a metallic red paint job on the tank and tail, and a subtle set of golden exhaust pipes and wheels complete the famed super suit’s color scheme. We guess the expression “reach for the sky” applies here with those impressive ape hangers. After all, the God of thunder does come from “up there” whether you read the Norse mythology and the Marvel comic books. This is one of the more heavily modified models from the super-lineup, including the asymmetrical wheels, the exhaust tips, and of course, the stretched out handlebar. The subtle lighting and helmet paint and beautifully carved saddle complete the subdued yet impactful look. The Iron 883 makes a combat as the base for Natasha Romanov’s ride. The assassin needs a stealth ride and this custom 883 is just what she needs. Clad in black with only a few subtle red accents to suggest to Black Widow spider’s most recognizable feature, the 883 “Solitary” is the closest H-D has gotten to creating a café racer style motorcycle. The clip on and cantilever saddle are the most prominent features hinting at the more retro-cool look, not a bad choice for the character. This was an appropriate model chosen to represent the biggest, angriest, and greenest Avenger. The clever tank design suggested the underlying mean green hidden under the surface. The dual exhaust pipe looks like it’s been twisted around the engine block, something Bruce Banner’s angry alter ego wouldn’t have any problem accomplishing. Likely inspired by Spiderman’s youth and, as the custom’s name indicates it, his agility, Harley opted for one of its smaller, most affordable models. 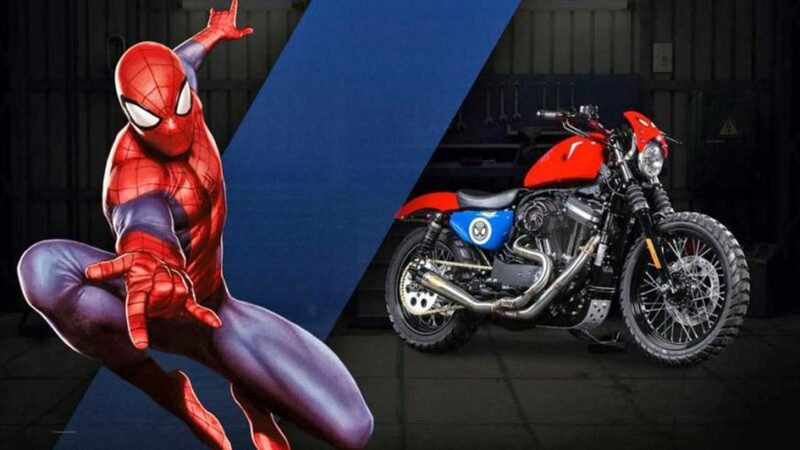 The company painted the bike in a very obvious and slightly tacky paint job with “Spiderman” badges rather than the usual spiderweb motif we tend to see. The bike has been fitted with a skid plate and knobby tires and though we wouldn’t recommend tossing it in the dust, it does look like it can go anywhere—even up a wall. The happy dancing twig busting a move to the sound of the Jackson 5 in his little pot warmed everybody’s heart at the end of the first Guardians of the Galaxy movie. Though afflicted with a limited understandable vocabulary, Groot showed it’s valor when he committed the ultimate sacrifice to save his team of misfits. The specially prepared Street Glide receives a cosmic camo treatment, covered all over in a bark motif inspired by the tree-like alien, complete with black-brown accents. 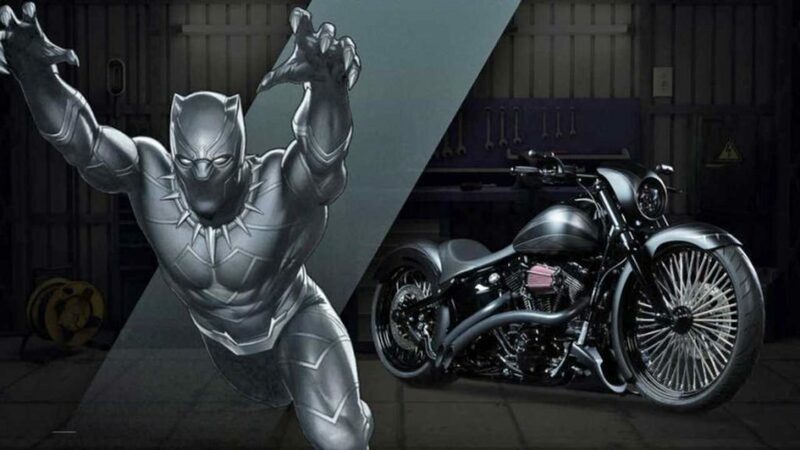 King T’Challa of Wakanda needs a ride worthy of his rank but also of his alter ego, the Black Panther. The intricate ribbing of the supersuit have been reproduced on the gas tank of this customized Breakout fitted with a massive oversized front wheel. The pipes have been modified as well as the saddle, positioning the rider on top of the back wheel. Thanos broke millions of hearts at the end of Infinity War and broke the Hollywood mold of happy endings—though we all know some magic should operate in the movie’s second part. 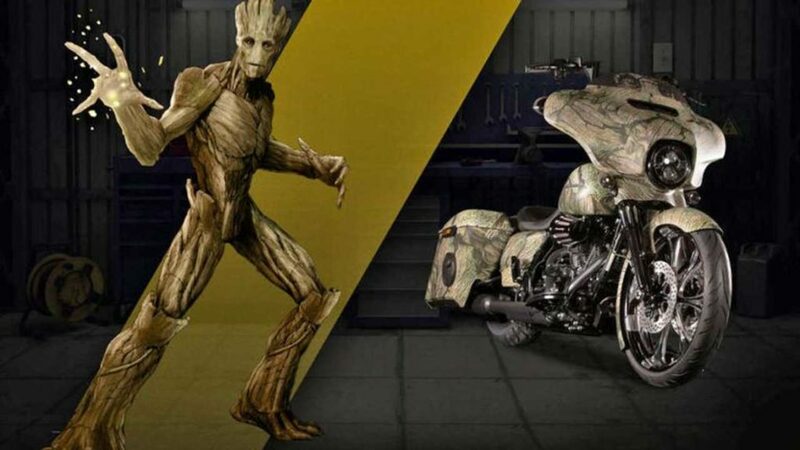 As the king of all supervillains, Thanos deserved its own special edition bike (we guess Harley didn’t want to anger him). 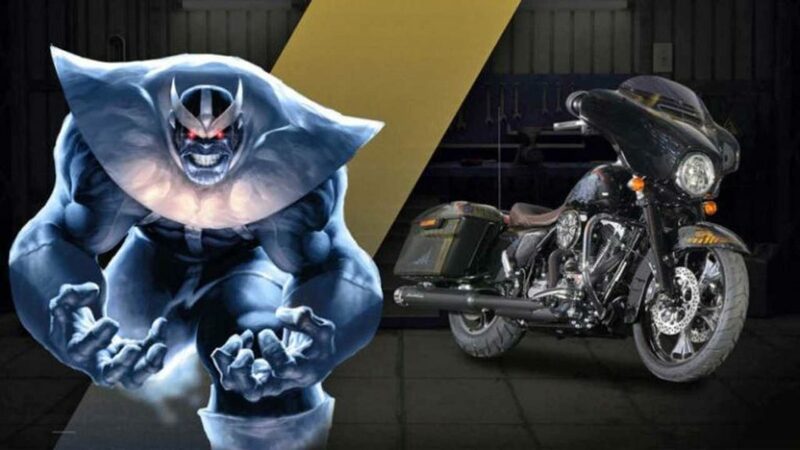 The “Voracious” Street Glide gets a stellar paint job complete with the Infinity gauntlet complete with chrome galore. The Night Rod Special is a blacked out twist on the standard V-Rod, a good way to represent Marvel’s supervillain (something something Dark Side). There wouldn’t be superheroes if there weren’t supervillains, so why not create a tribute to the ultimate bad guy (after Thanos) to measure up to the fleet of Avengers? This Night Rod is fitted with ape hangers and receives a grungy silver paint job with red accents, hinting at the automaton’s armor. I said on my personal Facebook page the day it happened that he gave us some of our heroes and heroines, and another of the great ones is gone. 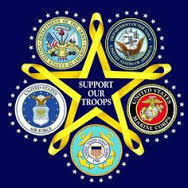 I thank him for our heroes and for being our hero. I stand by this. AMERiders would like to have a moment of silence for the great Stan Lee. 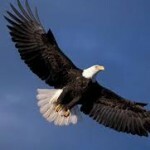 Let AMERiders give you information on Harley-Davidson Superhero Bikes and the Passing of the Great One.